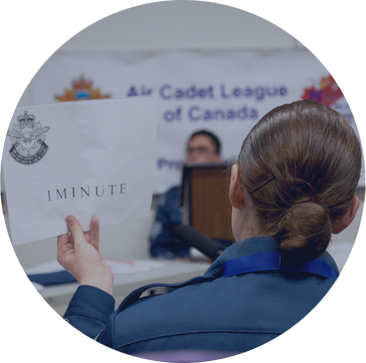 With coaching and practice at the Squadron level, Cadets gain the passion and confronting their fears of public speaking to move on to regional, provincial and national competitions. From gold to bronze medals, all Cadets have the opportunity to learn and grow in their debating and public speaking skill. Participation in Debating brings proficiency, verbal dexterity and artful pontification that will serve them well and impress even the most seasoned toastmaster! This opportunity is exclusively available to Ontario Air Cadets.